Hilary had written a book! 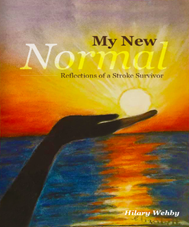 The title was “My New Normal: Reflections of a Stroke Survivor.” I was excited. You see, I had questions about the causes of her stroke. I had wondered about how she was coping. I thought about the adjustments she was making and how she was feeling, how she was processing all that happened to her. I kept thinking about how her life had changed in an instant and yes, I questioned “what comes next now for Hilary?” Plus, I’m an avid reader, and having worked with Hilary, I KNEW that anything written by her would be worth reading. Hilary’s a smart cookie, exceedingly clear, analytical, articulate and funny and I just knew I’d enjoy a book written by her. 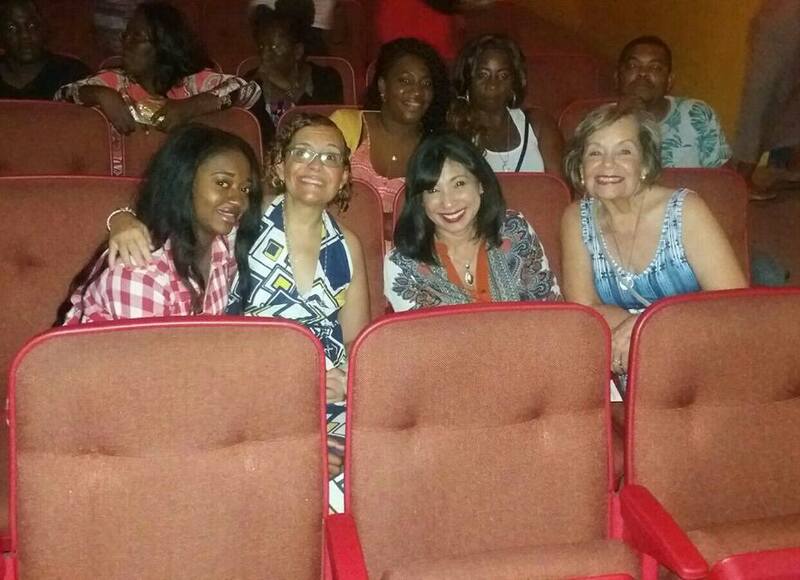 As I stepped into the church building that Thursday evening, I immediately spotted Hilary. She was standing, unassisted, surrounded by a few people, holding court. She had on a black sleeveless pantsuit, with an attractive mesh insert in the cleavage area, hair piled high atop her head, makeup impeccably done and new glasses that flattered. Her face was once again symmetrical and she was in her element. She greeted me and all her guests with warmth, introducing us to each other, creating an atmosphere of total ease and celebration. The room was full of family and friends. Pure love, and it was palpable. Unbridled joy, and we all felt it. The program was thoughtfully put together and it flowed as we heard from contributors to the book, and main characters in the book in their own voices and in their own words. The many expressions of faith throughout the program, in dance, in song and in prayer, did not feel at all contrived or forced. That faith is central to who Hilary is, was evident, and therefore had to be a central part of anything to do with her or her work. Any less would have robbed the affair of its authenticity, and if you know Hilary at all, she is as authentic as they come. I finished the book in less than a day. It’s not long, but it is substantial. And it took me less than a day to complete it, because I read it way into the night, past my bed time, and the next day, all day on the beach. It was that engrossing. The book was very conversational in tone, and in true Hilary fashion, it was frank, clear, open and funny too. Like I said, Hilary and I had been colleagues prior to her stroke. So while I was not intimate with the details of her personal life, I had come to know a little about her as we collaborated on various projects and attending joint meetings. She starts her story with a clear, brief explanation as to what happened to her the day of the stroke. The reader gets a clear explanation of strokes, the different kinds and how they’re caused. She literally begins at the end, as she summarizes the lessons she has learned over the past 3 years. In so doing, the reader is in a better position to understand exactly what happened in her body and brain when she goes into greater detail of the sequence of events on that evening in November 2015. As for summarizing her lessons up front, don’t think that they are spoilers. They are simply context for the details that she goes on to share about her road to recovery and her “new normal”. Hilary and Family pre Stroke. Photo Courtesy Hilary’s Facebook page. Hilary then backtracks and paints a clear picture of her life prior to the stroke. The reader gets a clear picture of the Hilary I knew: energetic, committed to family and career, straight forward and genuine. I enjoyed getting the back story on her close friendships and familial relationships. The sequence of events on the evening of the stroke and the weeks immediately following are reconstructed based on her own recollection and the input of those closest to her during this time. Hilary tells her story honestly, bluntly and with an ever present sense of humour that reassures us that even when life has been upended, there is always something to smile about. The choice really is ours. 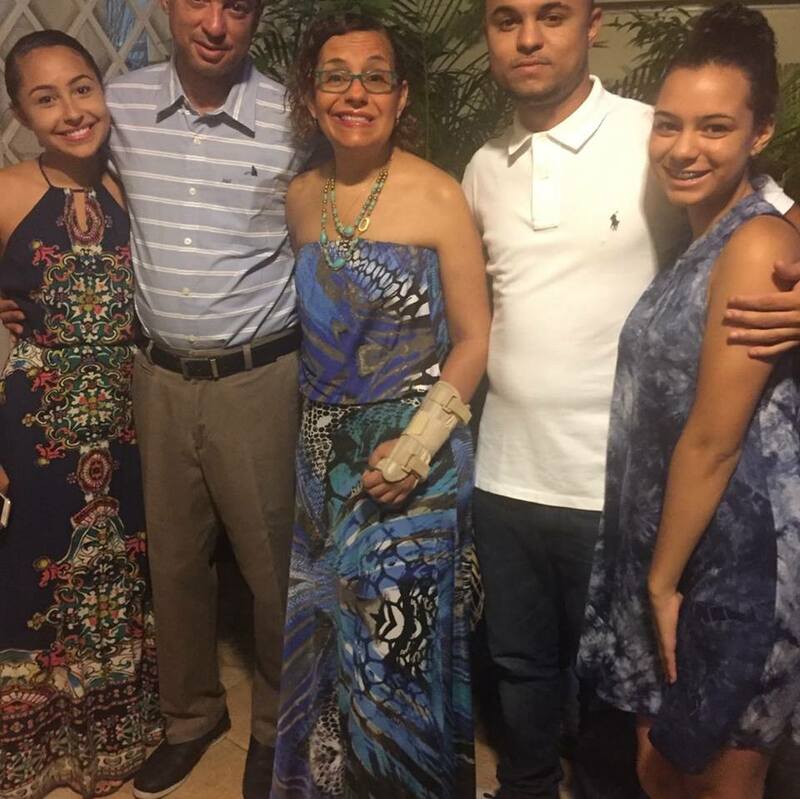 To hear her tell it, recovery has been occurring on two levels: the physical and the emotional. 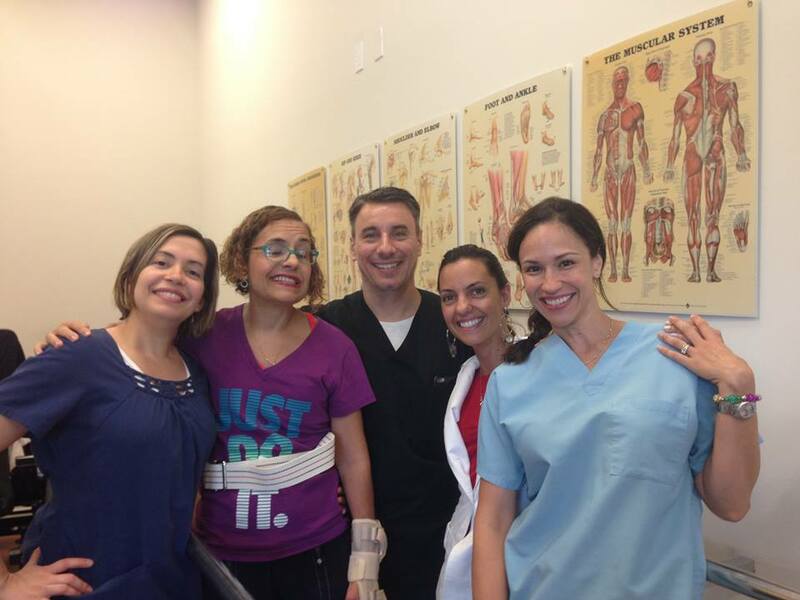 Can you imagine having to learn to walk again at the age of 50 something? Can you imagine the effort needed to press through the pain in order to rebuild and construct new pathways in the brain to simply do what you had taken for granted all your life? Imagine needing to depend on someone else to help you move around and take care of your own basic, private needs. Imagine the uncertainty experienced about the future when recovery cannot be predicted and timelines are unknown. Hilary speaks frankly about her concerns about being able to function as a wife and mother, and about her contribution to the planet in the face of no longer doing the work that she enjoyed and considered meaningful. Her life had changed. Drastically. And the future was very uncertain. Hilary’s book is full of pictures, of her life before the stroke, capturing moments during her recovery and of her life after the stroke. We are permitted entry into her life via the pictures and they enhance so beautifully the conversational tone of the book. Do you have a New Normal? The fear, anxiety and depression that accompany any re-setting of “normal” are so beautifully captured in Hilary’s book. Anyone who has had their normal re-set will find themselves nodding in agreement, tearing up in empathy, smiling as they recognise themselves and being inspired as they see Hilary redefining her normal. You see, Hilary goes on to describe her new normal, one that yes, has to exist within the confines of real physical limitations. That’s her reality. But Hilary’s new normal is one that is triumphant and meaningful. Out of this experience, Hilary has gone on to create hope in practical ways for so many. 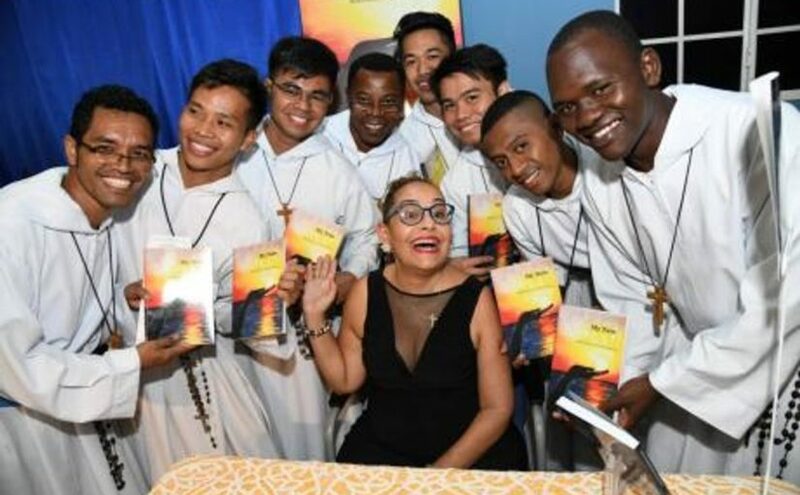 Read the book to see exactly what she is doing for stoke survivors in Jamaica. Her book can be considered a wake up call to those who take health for granted. It can be considered a motivational tome for those mired in self-pity. It is a hand-up for those who need encouragement. It is a shiny testament standing tall for those who are scared of what comes next. Hilary is touching more lives in a more meaningful way than she ever dreamed possible, even after surviving a stroke. Because she survived a stroke. Now a little about the structure of the book. It begins with a note from her doctor on what stroke is and isn’t. Very useful information for all. 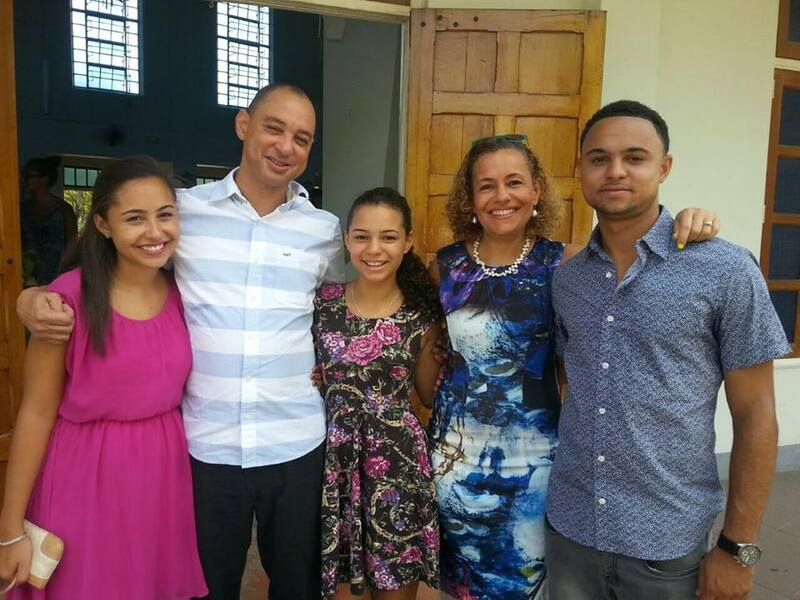 Affirmations from family, including her youngest child, and caregivers give voice to the other people who are impacted when normals are re-set. Their perspectives are valid and useful and moving. It really takes a village, and we cannot tell our story, in fact, we do not have a story, without the involvement of our community. Every chapter starts with an inspirational quote. Additionally, a number of specially selected Bible verses are quoted at the top of each chapter. This does not make the book preachy or fake. 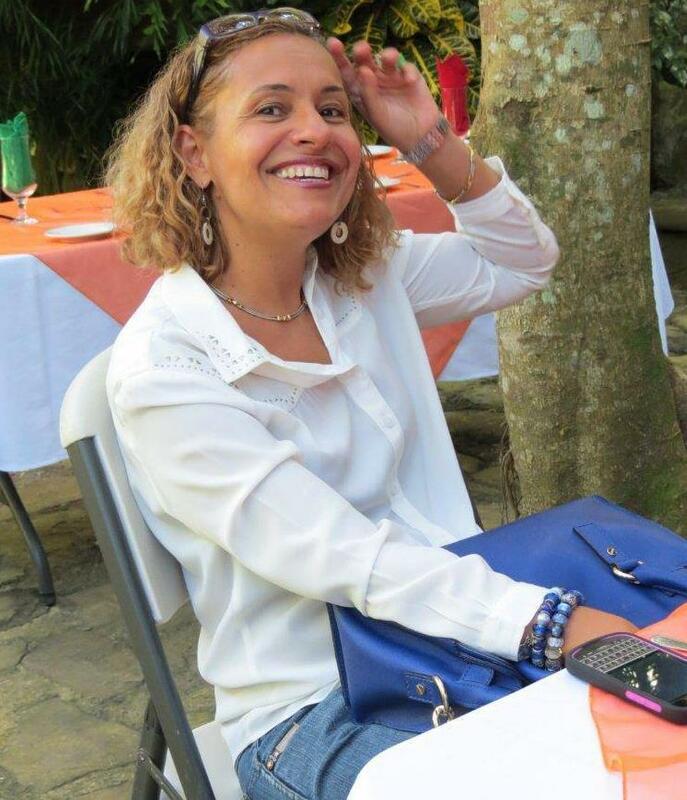 Each verse was specially selected and positioned by Hilary. They give insight into her frame of mind at the time, her concerns as well as her fears, and literally invite us to peer into her source of strength and encouragement as she re-defined and embraced and leveraged her new normal. The use of scripture throughout the book works. Even if you aren’t religious, I promise you that you will not be offended, bored or turned off. It feels natural and not at all contrived, and it a true reflection of the author. Scripture is not used to hide or mask feelings in this book. The verses are simply presented as the source of strength that they are to the writer. There are a few typographical errors that can be easily corrected in subsequent printings. 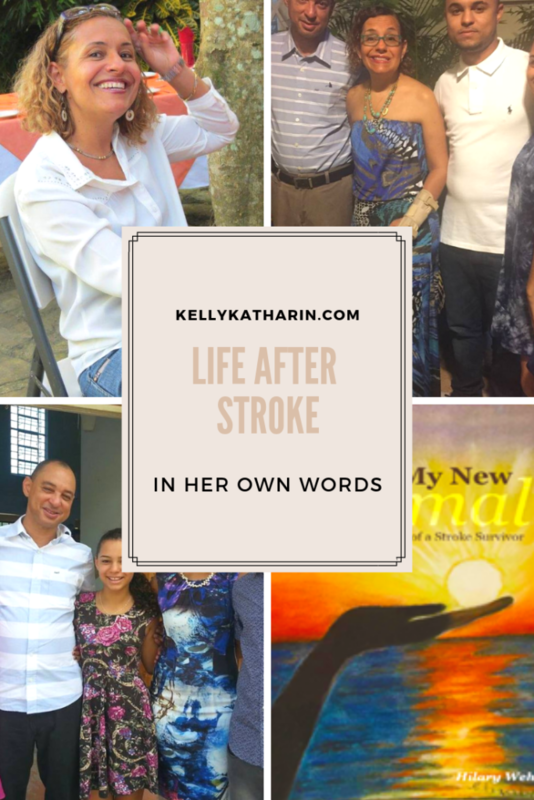 Finally, although the book will serve as encouragement and inspiration to anyone who has had their life upended by one tragic or unplanned event or another, it remains an exceedingly practical, easy to understand guide to stroke, preventative measures and the road to recovery for both stroke survivors and their carers. Hilary has access to resources that the average person does not necessarily have access to. She could have decided to simply accept her fate and be well taken care of for the rest of her life. 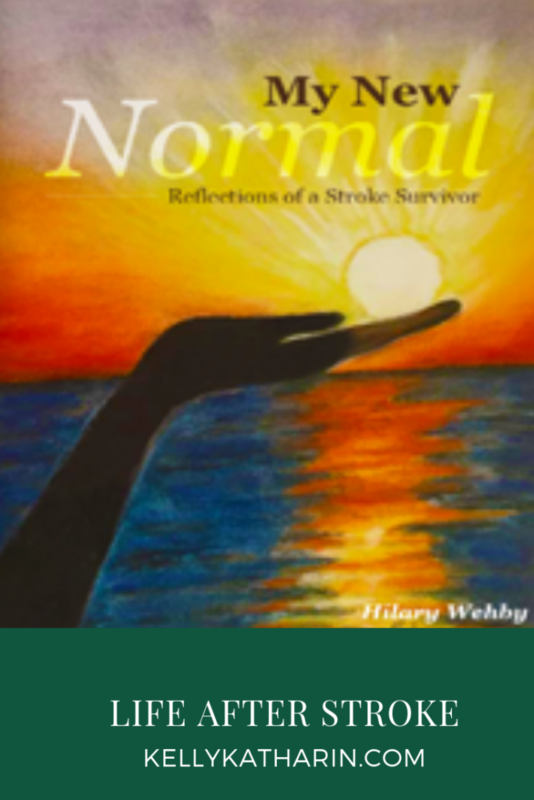 But instead, Hilary has re-defined her new normal and is leveraging those same resources to help other survivors of stroke and using her gift as a communicator to drive awareness of stroke and to encourage us to re-define our normal in the face of change. I loved this book because it provided insight into the life of someone who I know and have admired. It is a record of her strength and determination and something that I can wave in the air and boast: I know her! But it is also a call to action that we can heed where our own health is concerned. It has challenged me to look beyond myself in the face of sudden, dramatic, unplanned change in my own life. It has inspired me to be brave in re-defining my own new normal in the face of my normal shifting and morphing in unimaginable, unpredictable ways. It is a celebration of the power of love, family and community, and I identify. 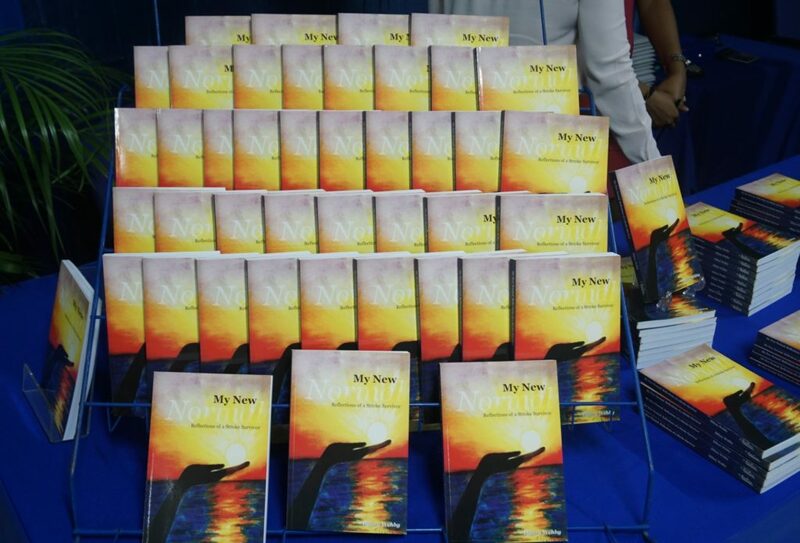 The book is published right here in Jamaica by Bala Press, 10 Hopedale Avenue, Kingston 6. You can get it in leading book stores or you can contact the publisher Glynis Salmon at glynissalmon@yahoo.com or 876-978-0556 or 876-491-4120. The eBook is coming soon. Just wow! In an instant…..life can change. What a wonderful, thoughtful, well-crafted and beautifully written review ! Thank you Kelly. Blessings ! Thanks Kelly. I so enjoy reading everything you write. I sure will be getting my copy of that book by Hilary Wehby. Thank you, Karen. It is an excellent read.